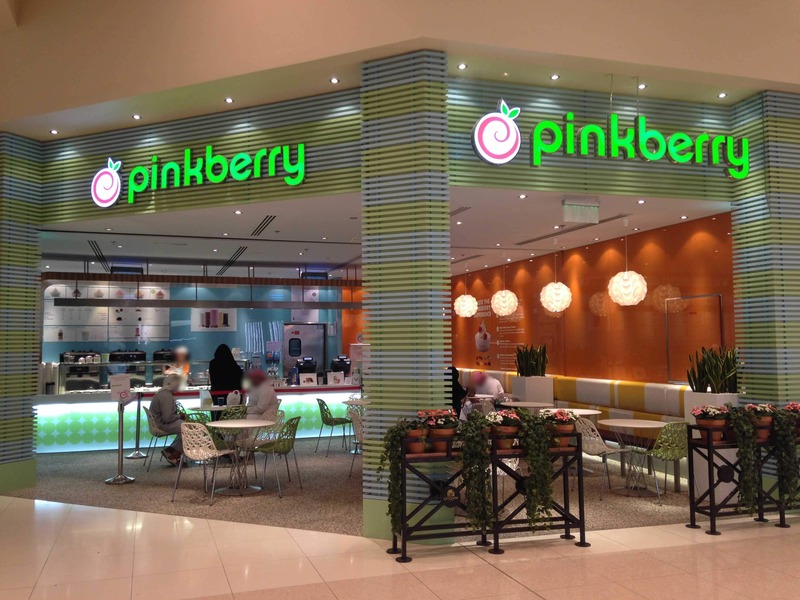 Pinkberry is the famous LA nonfat frozen yogurt concept that offers a light and refreshing guilt free treat. The perfect tangy yogurt to complement and harmonize with fresh fruits, Pinkberry created a phenomenon that no one else has been able to duplicate. It is made with real nonfat milk and real nonfat yogurt containing calcium, protein, vitamins and minerals and packed with live and active yogurt cultures. Our yogurt is certified by the National Yogurt Association in the U.S, and researchers have found early evidence linking live and active yogurt cultures to a variety of health benefits including support for a healthy immune system, joint health and flexibility. Our fruit is fresh, hand cut every day; it’s never frozen, canned or sitting in syrup. 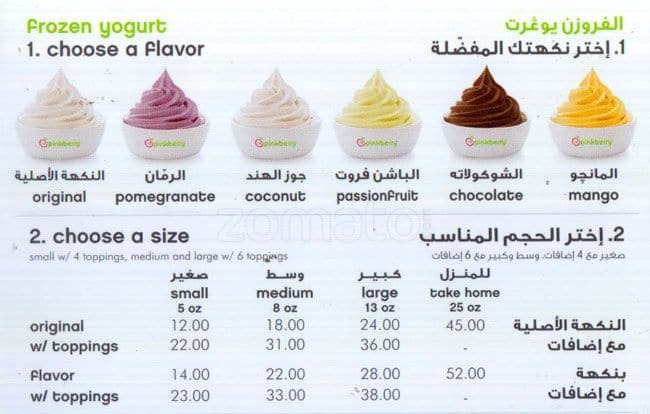 The cup of goodness can be enjoyed in six mouth-watering flavors: Original, pomegranate, coconut, passion fruit, chocolate and mango in addition to various seasonal flavours such as watermelon. Great taste is everything, and Pinkberry is committed to bringing you a frozen yogurt that tastes as good as it is for you.